Small-to-medium-sized businesses (SMBs) are viewed at large as the growth engine for the industries around them, and as such, are often called “the backbone of the economy.” SMBs generally drive where innovation starts these days, and they are often the service providers that enable their local economies. As SMBs increasingly leverage technology to harness efficiencies and scale, the question of how to securely manage all of these IT resources emerges. 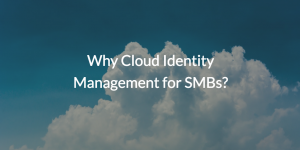 In this article, we’ll discuss why cloud identity management for SMBs can be a catalyst for innovation and efficiency. Historically, from the earliest days of the IT revolution, SMBs have been categorized as followers when it came to technology. Because the cost of acquiring and implementing innovative technology was painstakingly high, SMBs were shut out from receiving the benefits; they simply couldn’t afford access to mainframes and the earliest PCs. 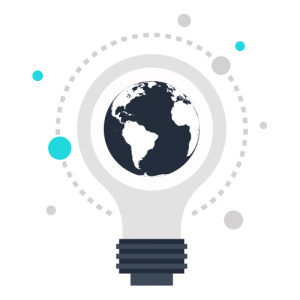 However, along with the decreasing costs of technology, better training for the workforce, and valuable applications and tools aimed at small and medium-sized businesses, that equation has since completely changed. 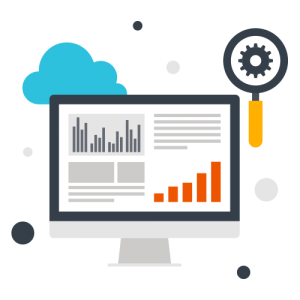 Now, thanks to cloud infrastructure and web applications, SMBs are often the innovators and large enterprises are the laggards. For over a decade, this shift in how organizations consume technology has globally propelled economies. However, the downside to this shift in accessing technology and cloud solutions has become painfully obvious: security is suffering. Today, more than at any other time before, SMBs are at risk of becoming victims of cyber crime, fraud, and online harassment. Cyber criminals have picked up on the trends, and know good and well that SMBs are aggressively leveraging technology. They also realize that SMBs are short-staffed and often unaware of all of the various technology risks that can undercut their business. The result is that SMBs are being compromised at disproportionate levels. George is a writer at JumpCloud, a central source for authenticating, authorizing, and managing your IT infrastructure through the cloud. With a degree in Marketing and a graduate degree in progress in Public Communications and Technology, George enjoys learning how the IT landscape is adapting to a diversified field of technology.